My oh my! Big elephant tramping, big hippo rolling, big tiger snatching. TRAMP! ROLL! SWAT! But can they catch that pesky fly? 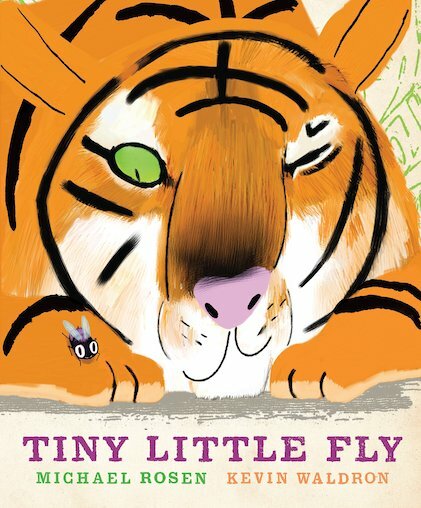 In this stunning picture book for the very young, the bigger jungle animals try to use their superior muscle to squish a teeny-weeny fly. 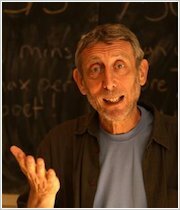 But somehow, the cheeky little chap always gets away… Michael Rosen chalks one up for the little guy in a rollicking read-aloud rhyme with an irresistible refrain. The action-packed story is matched by Kevin Waldron’s strikingly dramatic illustrations, using bold perspectives rendered in pencil and gouache. I think the US cover looks amazing! Really stdans out the cover of the story! But I remember picking out The Look’ and thinking that it would be a good book just from reading the blurb. I know You’re never meant to judge a book by its cover, but people do that! And the cover of the UK version speaks inside of the book more, unlike the US one. When I read the book, I read the unexpected. And that’s what made me love it more! The cover didn’t have to speak a lot for me.